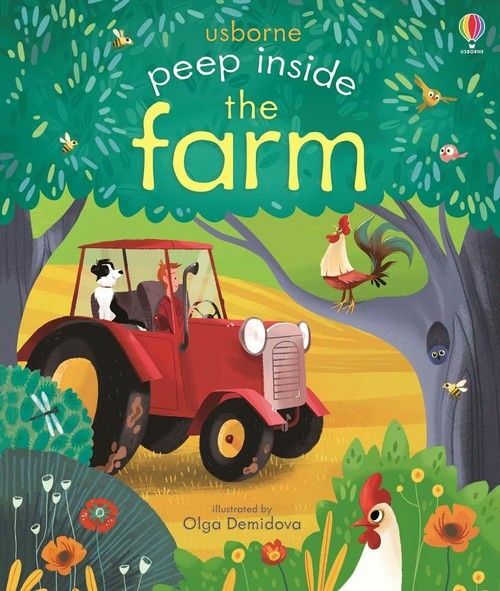 A colourful and charmingly illustrated non-fiction book for very small children, with lots of flaps to lift, holes to peep through and farm animals to spot. Children can peep inside the hen house at sunrise in search of eggs, watch the cows being milked behind the big barn doors and spot the lambs frolicking in the fields. Little hands will love to lift the flaps to see the vegetables growing underground, or the peas inside their green pods, and to spot all the produce being sold in the farm shop, from cheese, bread and honey to knitted hats and lambswool jumpers. An engaging and interactive introduction to life on a farm and where food comes from.